Blueberry Moon Blueberry Anti Aging Facial. Harness the power of Blueberries with our Blueberry Moon Anti Aging Facial. Blueberries contain potent antioxidants for anti-aging. This facial combines 1% glycolic and 1% salicylic, this enzyme provides a nice brightening exfoliation that will leave minimize pores and leave the skin feeling very soft. Experience a luxury facial like no other! We have combined ingredients like black quinoa, vitamins B5, A and E, organic acai extract, organic avocado oil, hyaluronic acid and Persian silk tree extract to make this vegan anti aging facial perfect for all skin types. In addition to its anti aging properties, this complex facial also hydrates, restores lipid structure, is anti- inflammatory and helps condition the skin and restore elasticity levels. This signature Blueberry Moon treatment also features a restoring Raspberry Peach Enzyme Masque to heal and exfoliate. The raspberry contains high levels of polyphenol antioxidant ellagic acid which soothes skin irritations and reduces inflammation, while the peach softens and is aromatically relaxing. Hibiscus flower (flower power) and pumpkin add the exfoliating properties to this enzyme. Your skin is left feeling soft, hydrated and renewed. Your treatment is finished with a nourishing Seaweed Mask containing lipids, proteins, minerals and vitamins which easily absorb to moisturize and nourish the skin. The benefits include re-balancing, nourishing, hydrating, cell regeneration, detoxifying, purifying, oxygenating, and re-mineralizing. Chamomile is added for anti-inflammatory benefits to calm and soothe the skin. For at at-home skin maintenance we recommend REF Vegan Skin care that can be customized by your skin specialist. Add a 30% glycolic peel to this treatment to increase cell turnover, increase collagen production and dramatically reduce visible signs of aging. Dry, oily, aging, uneven, sensitive and acneic skin conditions and eye concerns can all be addresses with a customized Tulasara facial treatment. After a thorough consultation, your skin therapist will provide the best combination of products, personalized Aveda aromas and techniques and design a customized treatment that will move your skin toward balance and reveal its natural beauty. Customized facial with 20 minutes of intense work on one area of focus. Customized facial with 30 minutes of instense work on one area of focus or additional work on second focus. Go beyond microdermabrasion, and energize the look of your skin with a professional facial treatment that helps smooth skin texture and reduce the apparance of lines and wrinkles and pore size with significantly increasing radiance- all with less visible redness and irritation then a microdemabrasion procedure. Advancing the science of chemical peels, this professional facial treatment helps retexturize skin; smooth fine, dry lines; refine the look of pores; and restore radiances. Safe for acneic skin conditions, the Perfecting Plant Peel can be performed as a standalone treatment or added to any other facial treatment any time skin needs the exfoliation and radiance benefits of a 30% glycolic peel procedure with les of the associated redness and irritation. Ask about our series of four treatments. Aveda's Dual Exfoliation Power Peel Treatment promises to renew tired and dull-looking skin with the effectiveness of medispa treatments, but with none of the associated redness or irritation. Using a combination of multi-layered exfoliation techniques, skin is buffed to perfection to leave it looking instantly brighter with fine lines and visible pores diminished. Perfect if you are having skin challenges on your back, or for a special occasion, this back treatment will focus on exfoliation, extractions (if desired) to remove impurities and a light back massage. The Beautifying Body Wrap is a warming, detoxifying, seaweed body wrap treatment featuring the uplifting aroma or Aveda's Beautifyingbody care products. 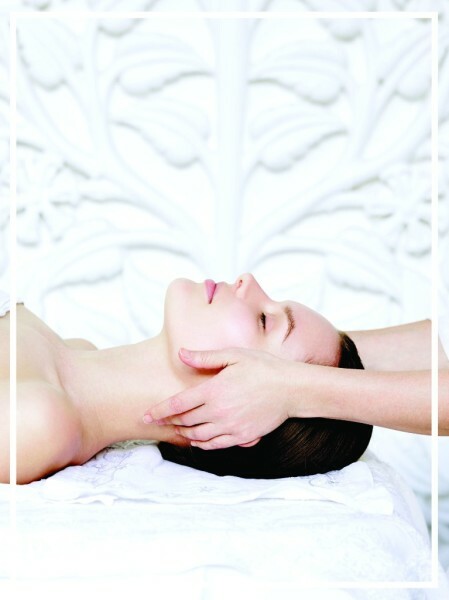 The treatment includes a dry exfoliation, seaweed body masque, scalp and face massage and foot reflexology treatment. Utilizing the customized Aveda exfoliation formula, this experience exfoliates and moisturizes skin, leaving it feeling soft and smooth. Great upgrades for any facial treatment.